The Beast with Five Fingers (1946, USA) – A mad pianist dies, and the vultures descend on his estate. Then his ghost descends on the vultures. 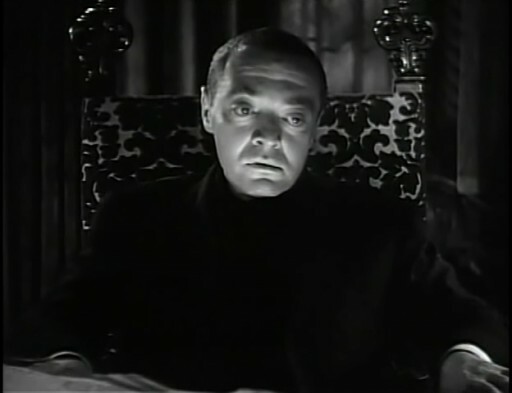 Best moment: Peter Lorre screaming, over the top of his voice, “I tell you, it’s alive!” Also, Peter Lorre displaying various contorted facial expressions. Watched it all. Genius at Work (1946, USA, Goodwins) – Bela Lugosi has fallen so low that he’s not the master criminal who toys with the police by sharing secrets with a radio show – he’s just the henchman, to some guy. Oh, Bela. Watched: 9 minutes. To Each His Own (1946, USA, Leisen) – Olivia de Havilland goes into flashback mode to explain how she got that way. Watched: 15 minutes. The Flying Serpent (1946, USA, Newfield) – I guess one reason the Aztec god Quetzalcoatl doesn’t feature in more movies is his name. Que..what? And then there’s his fellow gods Tezcatlipoca, Huitzilopochtli and Chalchiuhtlicue, who do not appear in this movie. Try saying them out loud, it’s fun! Watched: 5 minutes. A Scandal in Paris (1946, USA, Sirk) – A crook makes good in 18th century France. All the best lines are voice-overs, such as “Emile was that grimmest of characters: An early morning optimist.” Watched: 12 minutes. The main character is so ironically detached that he probably doesn’t mind. Strangler of the Swamp (1946, USA, Wisbar) – There’s so much fog in the swamp that there’s bound to be all sorts of evil things hiding in it. I’m with the superstitious village women on that one. Watched: 9 minutes. This entry was posted in 40's movies, Movies & TV on March 17, 2010 by bjoern.staerk. I saw The Beast With Five Fingers a little over a decade ago, and I remember really enjoying it. The only other use disembodied hands in horror I can remember (besides the comical bits in Evil Dead 2) is Clive Barker’s short story “The Body Politic.” Surely there must be more … right? I can’t think of any, but there must be some. The effects were pretty good too.